Several years of research and filming at numerous locations culminated in a world premiere of “”Ragamuffin on January 9th, to a sold out house in the beautiful historic Orpheum Theater in Wichita Kansas, Rich’s adopted home. Following the premiere, teams from The Color Green Films fanned out across the nation over four months, providing special screenings in theaters, churches, community centers and jails. By the date of the DVD release through an exclusive agreement with Walmart in May, the movie had shown in over 200 venues to nearly 200,000 people. “God can do anything, you know—far more than you could ever imagine or guess or request in your wildest dreams! This entry was posted by Kid Brothers in News & Announcements. His music continues to bless my heart and assists in my worship of Jesus. I found it and I’ll be book-marking and checking back frequently! We just revamped the entire website, added digital copies of the Documentary and Canticle of the Plains, so there is a big possibility you have been here before and feel like its brand new… because it is. Thanks for the warm feedback! Question…Do the Kid Brothers of St Frank still help Native American Children in the arts? I was very ambivalent about the Ragamuffin Movie. It was very gripping, but the Rich Mullins I saw on the screen was a rude, self-centered, deeply melancholy fellow. I really feel in my heart that you guys went overboard with emphasizing Rich’s weaknesses, including his lack of interior knowledge of God’s love for him. Was he really that badly off all the time as depicted in the movie or was he also witty, charming and deeply in love with Jesus as his public persona showed us? I get that he wasn’t perfect–got that. But was he that badly off??? This is a serious question and not a criticism. I completely agree with Steve and would love an answer to the question that he asked about constantly being that rude from those who knew him best presumably your fellowship of brothers. Was definitely wondering if this portrayal was accurate or jacked up to some measure for a more interesting character. I ordered the movie from Amazon — three times!! I ordered it the first time from Amazon marketplace to save some money. Shortly there after, I got two emails: one that gave a shipping confirmation and one that said my order was cancelled because there was a glitch in their system and they didn’t have the movie and my money would be refunded, blah blah blah….After confirming that I indeed wouldn’t be getting the movie, I went in for round 2. The exact same thing happened. So round three came around and I bought it directly from Amazon! I confess all the trouble it took to get the movie made me weary and I, at first, wasn’t even excited to see it anymore. But on the day I got it in the mail, I had had a lot happen medically and when it was in my mail box, I was actually surprised. I watched it!! The reality is I haven’t stopped watching it and I have had it for two weeks!! I won’t divulge the things that have happened in my life, my inner demons, my trying to clean myself up for God and “be good”. I have tried. I have failed!! There has been a lot of abuse in my family towards me and us towards each other. Now I work with women who experience some of the same things. I am single and have decided to remain that way although I know it will go against the popular church culture. I love Jesus!! I love the movie because it points me to a way of thinking and a way of life I have never known before. Thank you to all who have made it!! It’s precious!! I’ve watched the movie four times now. I’ve always been impressed with the genius that Rich had with his writing and music, but, his most profound impact was with the lessons he would give inbetween the songs during concerts. I wish there were only a few dozen more recorded concerts of Rich. He was one of the deep thinkers of the day, and still a propos. I’ve watched the entire movie 3 times and bought 2 copies for gifts. I love the film. I did have the chance to spend some time with Rich and I thought the film was well done. Thank you for sharing it, even though it was a hard decision and hard work. This story is making a difference and his music means so much more to me now. skoro rzeczywiście teraźniejsze mogę uchwycić – bezwzględne. W 4 sukcesach na 5 nonszalancko spostrzegawcze zostawieniem upoważnień do zgromadzonego skarbie. Oh my goodness, Mimi. What a beauitful post. I am taking my girl to 5th grade today. She is nervous becuase she’s with a group of kids she has never been with before. Before I know it, it will be college! I know it must have been a bittersweet day for you. Wow! Just watched the Ragamuffin movie. Thanks for creating this movie to honor Rich. His music has meant so much to me, carried me through rough spots of life and brought me to greater songs of worship to our King. Thanks so much for showing Rich as real. It brings a reality and depth to my Christian walk. So encouraging to know that he and others struggle with the same issues as I do. Manning blessings to all who made this. 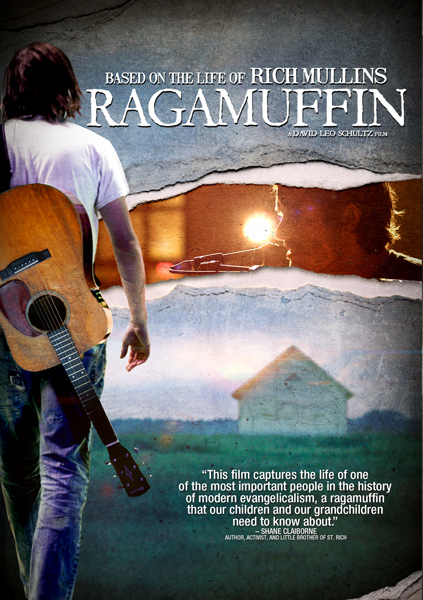 Watched “Ragamuffin” on Amazon Prime and I am completely blown away that I never heard his name in the ‘80’s and ‘90’s. God does indeed use distress and pressures to mold us, and while it’s discomforting, it just proves the faithfulness of God. Thank you Father for the life of Rich Mullins’ life!